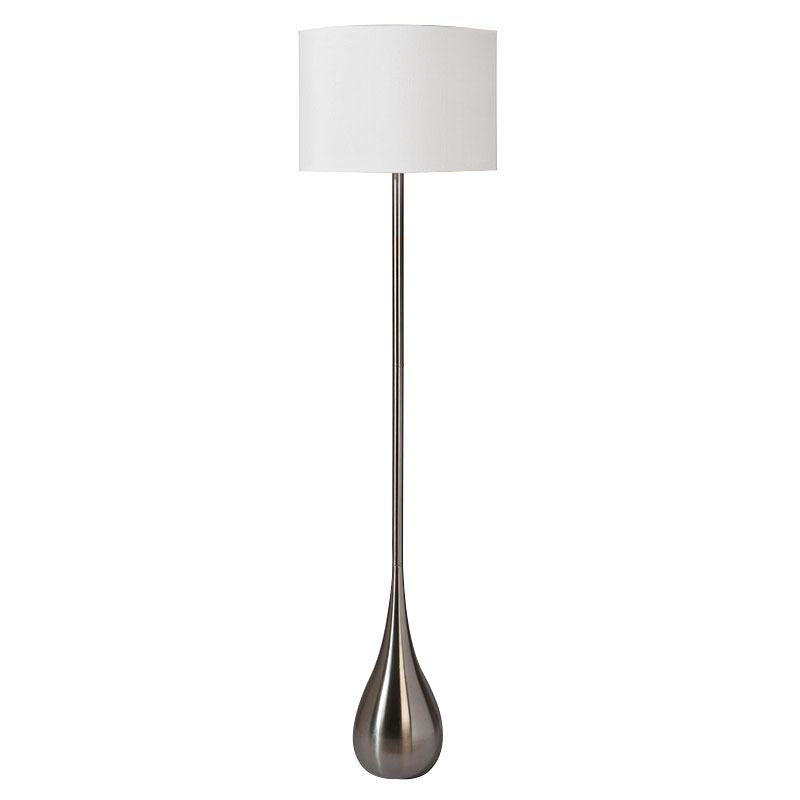 This lamp has a stainless steel finished teardrop body topped with a white linen drum shade. 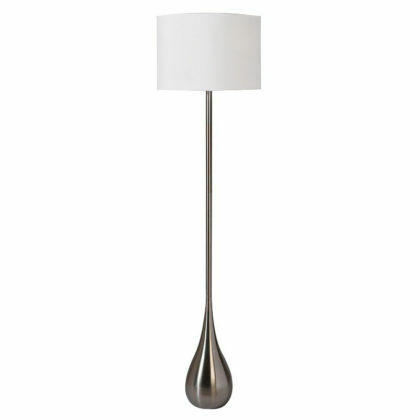 Very easy to use in any room and pair with all types of furniture. 17" x 17" x 63"